Yogurt is one of the best sources of probiotics. It is made from milk that has been fermented by friendly bacteria which can help keep the intestines healthy. The friendly bacteria in yogurt helps digest some of the milk sugar into lactic acid. This explains why yogurt tastes sour, and even if you’re lactose intolerant you may still be able to enjoy yogurt. 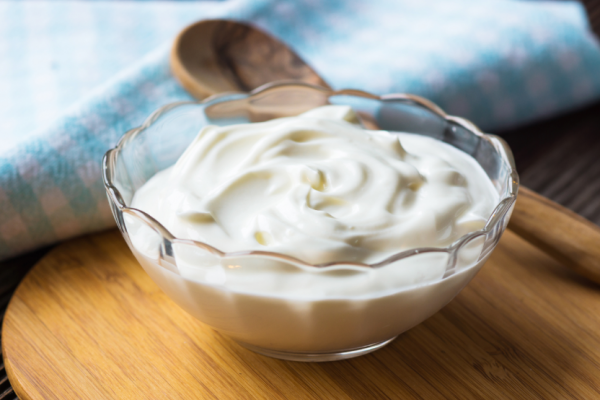 Rich in protein, calcium, and B vitamins, yogurt is associated with many health benefits, and is also beneficial for people with high blood pressure. However, keep in mind that not all yogurts you may find in supermarkets are that healthy. Make sure to always read the label on yogurt before you buy it. Even if it is labeled low-fat or fat-free, it may still have high quantities of added sugar and other ingredients that may not be beneficial. Kefir is a fermented probiotic milk drink that tastes like drinkable yogurt. 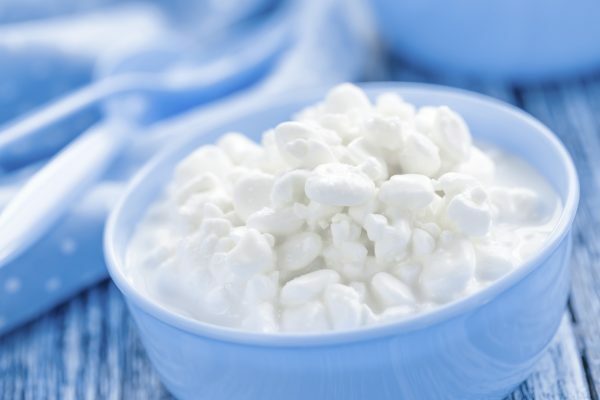 The key ingredient in kefir is kefir grains, which are not actual cereal grains but rather cultures of lactic acid bacteria and yeast that look a bit like cauliflower. Originating in eastern Europe, kefir enjoys much popularity outside its homeland, thanks to various health benefits it offers. Loaded with calcium and vitamin K2, it may improve bone health, help with some digestive problems, and protect against infections. Most importantly, kefir contains a diverse collection of friendly bacteria and yeast, making it a potent source of probiotics. 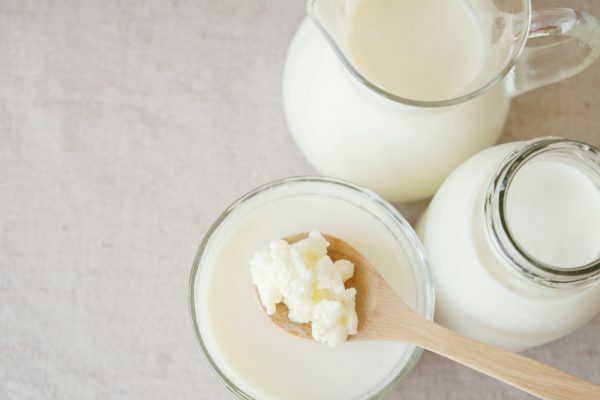 Like yogurt, kefir can very easily fit into a lactose-intolerant diet. 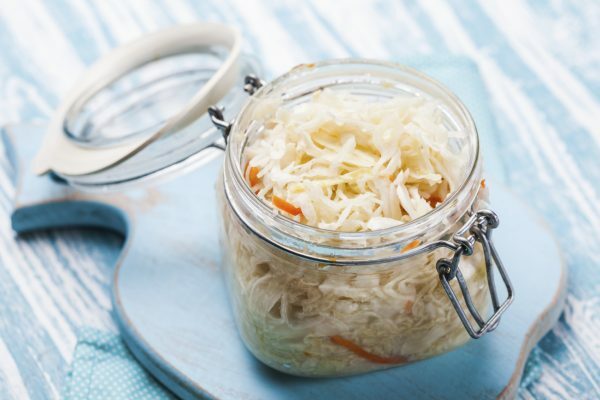 Sauerkraut is finely-shredded cabbage that has been fermented by lactic acid bacteria. It is one of the oldest traditional German foods and is popular in many countries. Due to the fermentation it undergoes, sauerkraut offers nutrition and health benefits far beyond those of the fresh cabbage that it is made out of. Sauerkraut contains a wide variety of strains of good bacteria as well as fiber, which boosts your digestion and keeps your gut lining healthy. It may also contribute to a trimmer waistline. Its high-fiber content allows you to stay fuller for longer, which helps you reduce your everyday calorie intake in a healthy way. It’s important to choose unpasteurized sauerkraut for the full health benefits, as pasteurization kills the live and active bacteria. 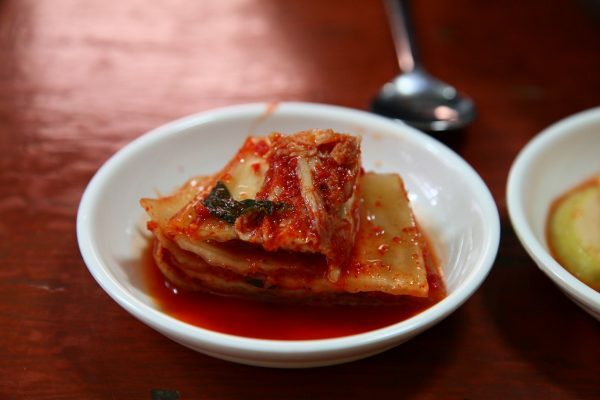 If you’re a fan of Korean cuisine, you might already be familiar with kimchi, a fermented, spicy Korean side dish. Cabbage is the most common ingredient, but it can also be made from other vegetables. Kimchi is a low-calorie, low-fat source of various vitamins and minerals, including vitamin K, vitamin B2, and iron. But most importantly, kimchi contains a numerous probiotic strains and fiber that can benefit the immune system and improve bowel function. Pickles are cucumbers that have been pickled in a solution of salt and water. Not all pickles are fermented. Unfermented pickles get their flavor from vinegar. Vinegar itself is produced through a fermentation process, but only vinegars that remain raw and unpasteurized, such as raw apple cider vinegar, can provide that good bacteria. Fermented pickles, besides their probiotic benefits, are also low in calories and a good source of vitamin K, an essential nutrient for blood clotting. It is important to note that pickles also tend to be high in sodium. If you have high blood pressure, you can pickle cucumbers yourself to better control the amount of salt in them. Kombucha is a fermented black or green tea drink. It’s fermented by a friendly colony of bacteria and yeast that improves gut health and strengthens the immune system. Kombucha becomes carbonated after fermentation, which is why the drink is slightly fizzy. Kombucha also provides vitamin B, a handful of essential minerals, and a healthy dose of organic acids that have been shown to inhibit growth of harmful bacteria. Since some of those acids are produced from ethanol, it’s worth noting that kombucha contains very small amount of alcohol, usually ranging from 0.5 percent upwards to 3 percent. Green tea is known as a weight loss aid, as it can boost metabolism and help your body break down fats more quickly. 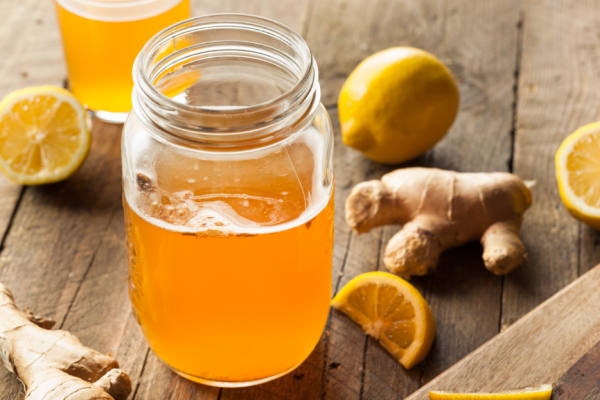 Since kombucha is made with green tea, it could have a similarly positive effect on weight loss. Traditional buttermilk, also known as the “real” or “true” buttermilk, is simply the leftover liquid from making butter. Only this type of buttermilk contains beneficial bacteria. 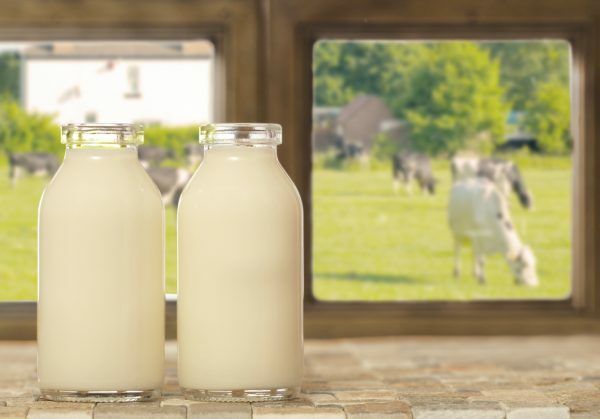 Cultured buttermilk, which is commonly found in American grocery stores, generally doesn’t have any probiotic benefits as traditional buttermilk does. Buttermilk is very low in fat, since most of the fat went to making the butter. But several important vitamins and minerals remain in the drink, including vitamin B12, vitamin B2, calcium, and phosphorus, which help in building strong bones and teeth, filtering out waste in your kidneys, and maintaining a regular heartbeat. 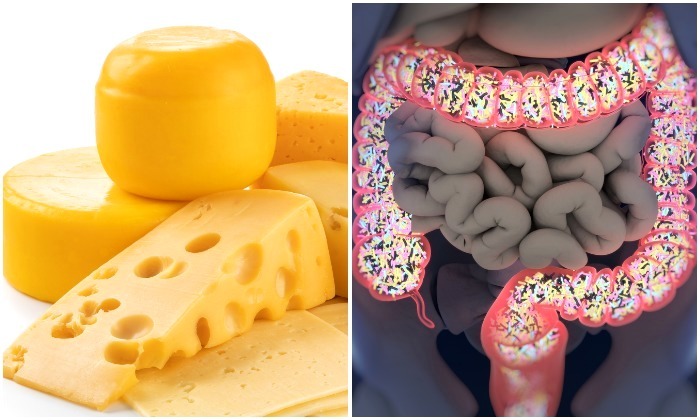 Even though most types of cheese are fermented, it does not mean that all of them contain probiotics. Beneficial bacteria survive the aging process in some cheeses, namely: Gouda, mozzarella, cheddar, and cottage cheese. Cheese is highly nutritious and a very good source of protein, like other dairy products. It is also rich in important vitamins and minerals, including calcium, vitamin B12, phosphorus, and selenium. Eating small amounts of cheese may even lower risks of heart disease and osteoporosis. It’s worth noting that in the US, the FDA requires all cheese that is transported across state lines must either be made from pasteurized milk or aged at least 60 days, out of concerns of potential contamination. Although you can buy raw-milk cheese if you live in one of 29 states that allow some forms of raw-milk sales, it’s strongly advised by the FDA to learn about the risks. Yogurts and pickled vegetables give your body beneficial bacteria because they are fermented using natural processes which produce probiotics. 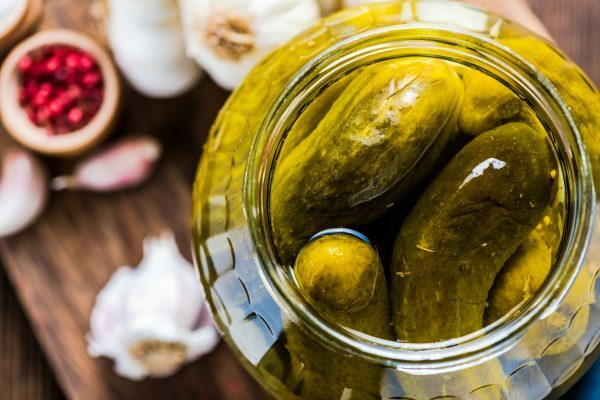 The jars of pickles you can buy off the shelf at supermarkets are sometimes pickled using vinegar instead of live organisms, which means they don’t contain probiotics. To make sure the fermented foods you choose contain beneficial bacteria, you should look for the words “naturally fermented” on the label. When you open the jar, you should notice bubbles and fizz rising to the top, indicating that there are live organisms inside the jar. Japanese researchers have found the bacteria in a weird-looking Japanese traditional pickled turnip, suguki, could prevent infection by flu and relieve symptoms.